“The soul is the perceiver and revealer of truth. We know truth when we see it, let skeptic and scoffer say what they choose. Foolish people ask you, when you have spoken what they do not wish to hear, ‘How do you know it is truth, and not an error of your own?’ We know truth when we see it, from opinion, as we know when we are awake that we are awake. It was a grand sentence of Emanuel Swedenborg, which would alone indicate the greatness of that man’s perception,–“It is no proof of a man’s understanding to be able to affirm whatever he pleases; but to be able to discern that what is true is true, and that what is false is false,–this is the mark and character of intelligence.” In the book I read, the good thought returns to me, as every truth will, the image of the whole soul. To the bad thought which I find in it, the same soul becomes a discerning, separating sword, and lops it away. We are wiser than we know.” – Ralph Waldo Emerson, The Oversoul. The war criminals in the U.S. and Israel need a war with Iran because they can’t deal with their internal political and economic crises. They have destroyed their own countries by letting the plutocratic banksters run wild with the people’s money, and now they are busy creating a new excuse of a wartime crisis to further consolidate power at the global level and crush democratic dissent. Starting a war with Iran based on an illegitimate and fraudulent act of false flag terrorism is the best way to distract public attention from their years of corruption and from their criminal plan to dominate the world through force and fraud. Once the war with Iran gets fully underway, FEMA, Homeland Security, and the hijacked American military will serve as the essential entities in the globalists’ total takeover of America. These hijacked instruments of power are tasked with aggressively suppressing legitimate domestic dissent, popular uprisings, general strikes, patriotic mass protests, reform movements, urban riots, outbreaks of mob violence, rising homelessness, starvation, etc. But FEMA, Homeland Security, and the hijacked American military will fail in trying to suppress the American people’s quest for freedom and justice, just as the U.S. and Israel are failing to destroy the spirit of resistance in the Middle East. These tyrants will fall because history is not on their side. The force of history is with the truth. The truth about the 9/11 attacks and the illegal war on terror is slowly beginning to reassert its divine power in the consciousness of mankind. No amount of political suppression can stop the truth of history from surfacing to the global public mind. In America and the West, conspiracy theorists and 9/11 truth-tellers have already been vindicated. 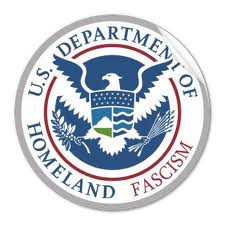 The overwhelming government support for tyrannical laws like the NDAA, which specifically say law abiding American citizens are the targets of the government’s fascist counter-terrorism policies, is a sign of fear and failure. Using government force to suppress the people and maintain the corrupt status quo is a stab in the dark. The shadow state terrorists and vicious tyrants in Washington and Tel Aviv better regroup and rethink. This won’t end well for them. They have already fallen, but they have not yet reached the bottom of hell where the ghosts of history’s tyrants are waiting to greet them.